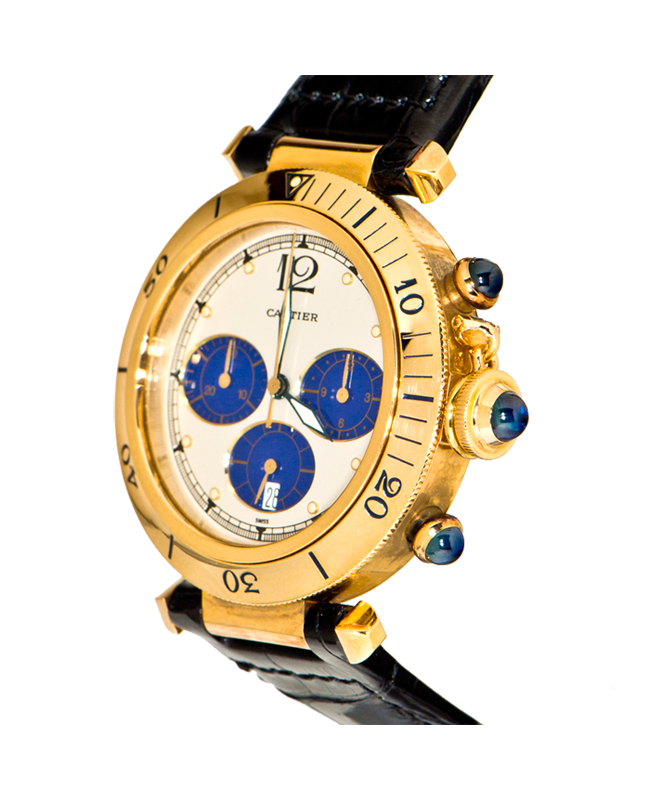 The Cartier Pasha watch , or Pasha Cartier, is a true expression of the classic watch design from Cartier. 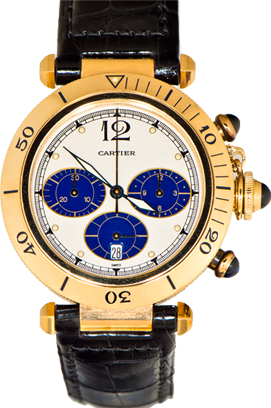 All Cartier Pasha watches have round case with harmoniously smooth shapes, the round crowns with a precious cabochon stone on the top. 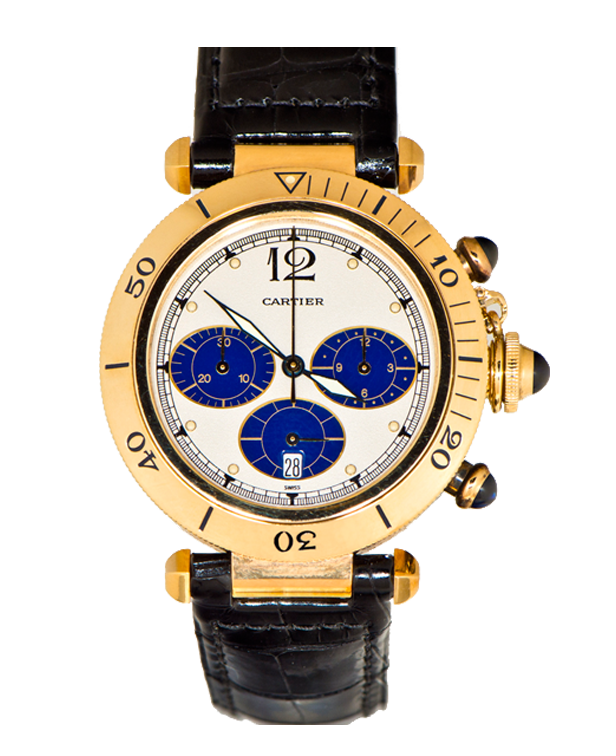 Cartier Pasha timepieces have a very particular and beautiful dial style, that may vary in colors and designs. 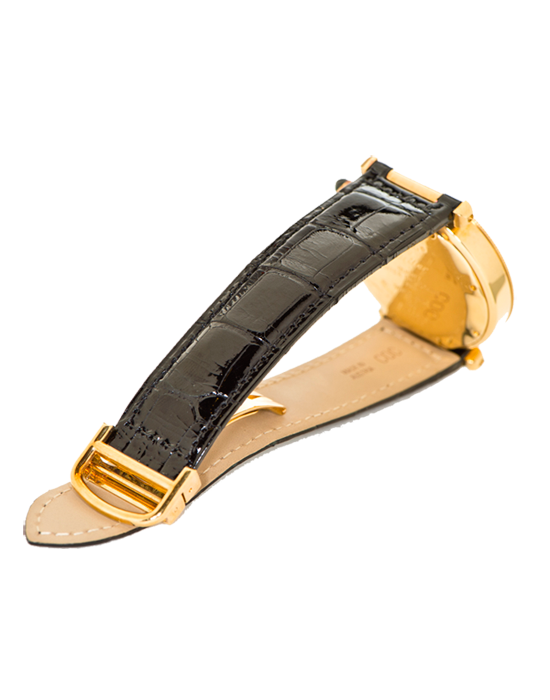 Sword-shaped hands and big painted Arabic/Roman numbers accentuate the classic style of this collection.